On April 15, 2017 we published version 1.0 of the Loci universal windows application for HoloLens on the Windows Store. 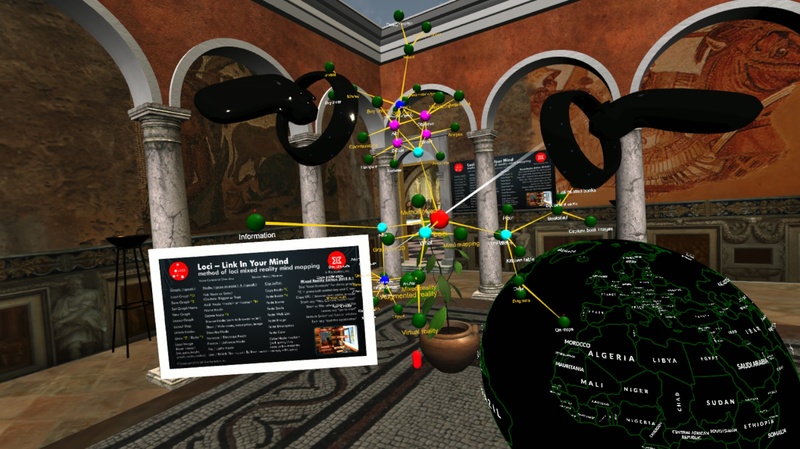 Loci lets you create mind maps in mixed reality where you place the mind map nodes in your home or office in locations that have meaning to you. Using locations in this way, as a form of method of loci, where you associate your thoughts and ideas with locations, has been shown to increase your recall of them later. 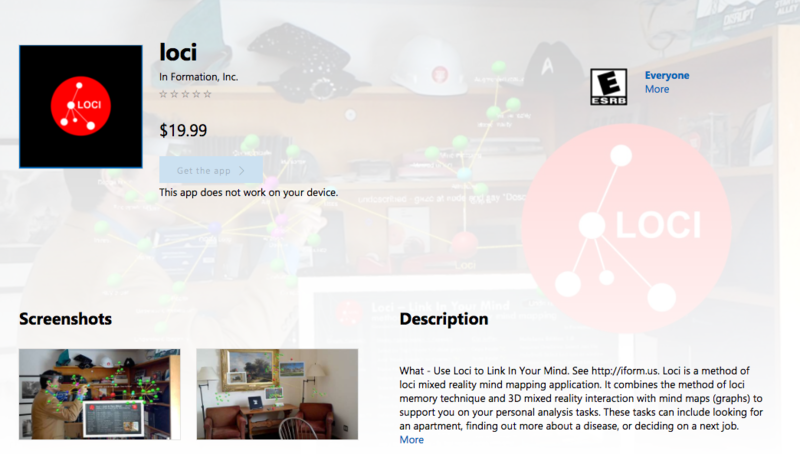 Our Loci application allows you to create and edit mind maps in mixed reality. You save and load these using OneDrive. The primary way to interact with Loci is using voice and gaze, and the current supported language is English. To understand how Loci works, it has a free one day trial.